the shop is easy to locate, the process at the shop is an easy breeze too! but maybe more hairstylist to help to style the hair, so that the wait time is lesser. the shop attendee are also very friendly! Visit famous landmarks around Seoul in a beautiful traditional Korean costume with a Bukchon hanbok rental. 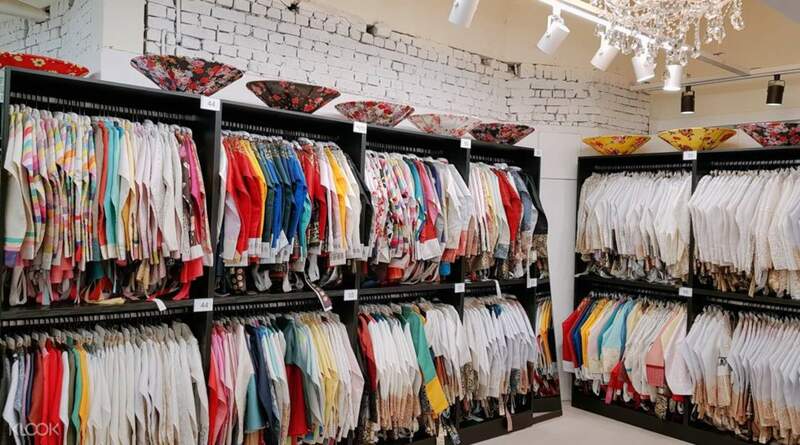 Pick your costume from a wide array of designs and sizes at a convenient location in the Jung-gu district of Seoul - helpful and friendly assistants of Oneday hanbok rental will ensure that the hanbok is properly fitted to your size. Then, head over to shrines, palaces and villages around the city where you will receive 'Hanbok benefits' which entitle you to free admission or discounts. 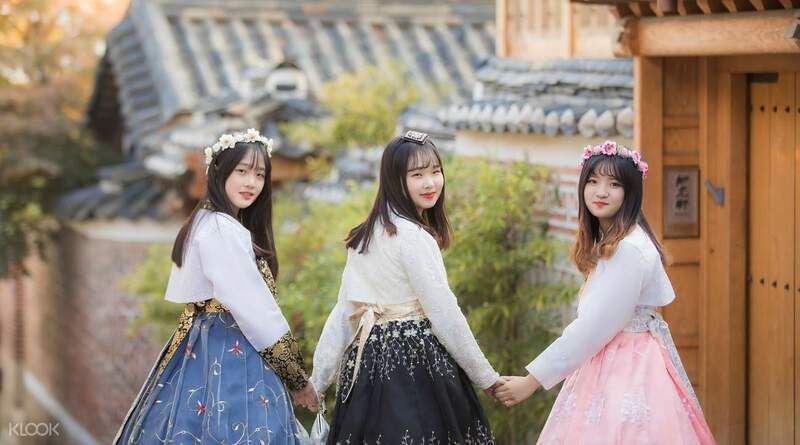 Of course, it'll be an excellent opportunity to capture many memorable pictures, after which you can return the hanbok to the store or pay an additional fee for a return pick up service if you are on a tight schedule. 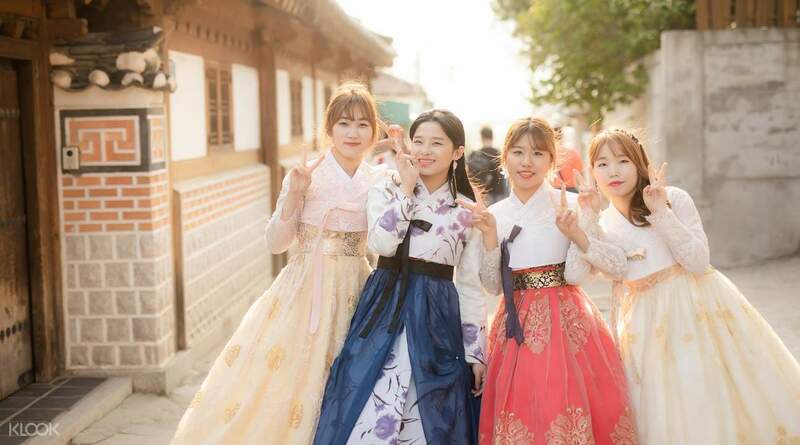 Avail of the hanbok rental in Seoul from Klook today and get instant confirmation! 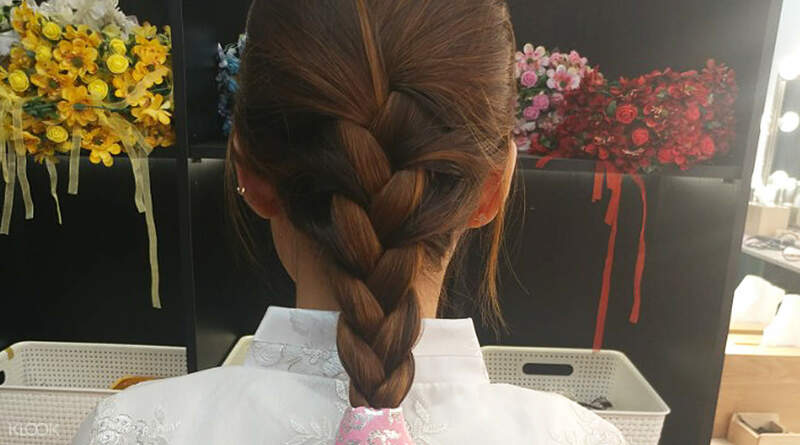 Style up and get that sleek, braided hairdo for a classic Korean look! 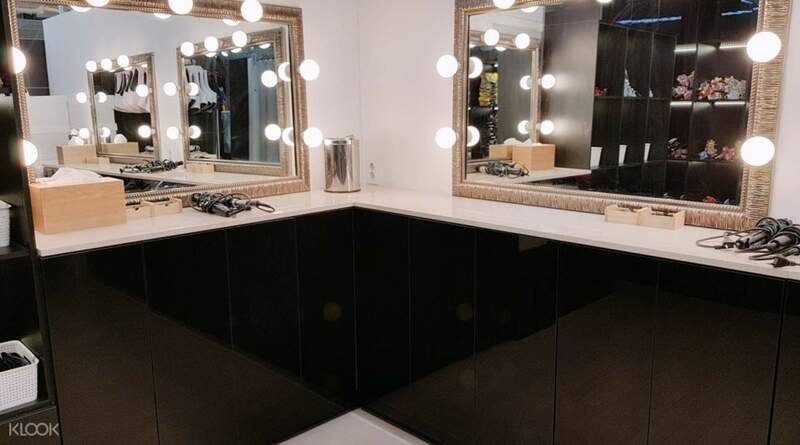 With several designs and accessories, there's a little something for everyone! This is very convenient to those who love to try the traditional dress of Koreans. Some palaces aren't required to pay entrance fee when you are wearing hanbok. Just take note to try this activity every Wednesday to Sunday since most of the palaces are close every Monday and Tuesday. Overall I would recommend this activity. Enjoy your Korea trip! This is very convenient to those who love to try the traditional dress of Koreans. Some palaces aren't required to pay entrance fee when you are wearing hanbok. Just take note to try this activity every Wednesday to Sunday since most of the palaces are close every Monday and Tuesday. Overall I would recommend this activity. Enjoy your Korea trip! I believe this was the best investment in my trip. I felt like a princess in the hanbok. The staff was really helpful, most of them could speak english and other languages. I do suggest booking the earliest appointment time and getting there at least 15 minutes early, since it can get crowded really fast. Although it includes hairstyling, if you are not the first to find your hanbok and be done you'll probably have to wait a lot to get it done. I suggest hairstyling before going, at least straighten it or curl it, or taking a few bobby pins and ties to do your hair there; which is what I did. Research the weather before hand, it rained on us and me and my friend were freezing in the hanbok. Also, don't bring a shirt with collarbone neck, since the hanbok has a slight v-neck, and make sure is a neutral color like gray, mint or something semi-light, in case you choose a white-top hanbok. 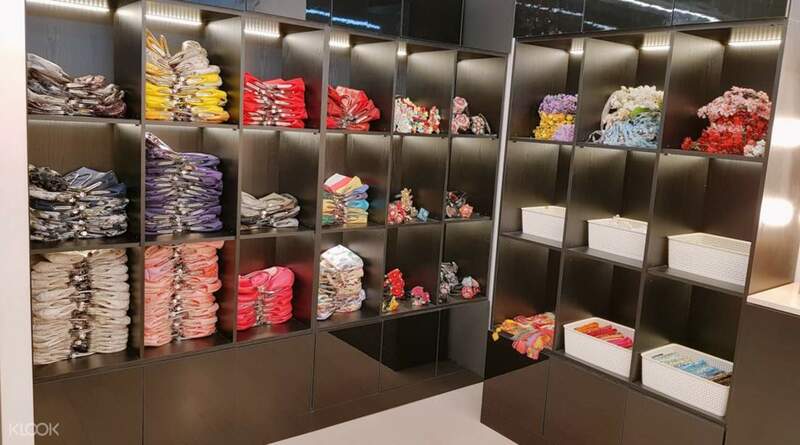 The store is about 7 min walk from the museum entrance of the Gyeongbokgung and there is also a library nearby that has a lot of cherry blossoms. Also near bukchon hanok village, so bring your phone with full battery and a power bank. The pouch they give you is medium size, also I saw that there were some free lockers somewhere in the Gyeongbokgung palace if you don't want to store things in the shop. We did and everything was fine when we came back. Remember to collect your deposit after returning your hanbok and be super careful and gentle with the dress. Dirt seems to be fine, but any rip or cut will be charged. Do try this out, you won't regret it. I believe this was the best investment in my trip. I felt like a princess in the hanbok. The staff was really helpful, most of them could speak english and other languages. I do suggest booking the earliest appointment time and getting there at least 15 minutes early, since it can get crowded really fast. Although it includes hairstyling, if you are not the first to find your hanbok and be done you'll probably have to wait a lot to get it done. I suggest hairstyling before going, at least straighten it or curl it, or taking a few bobby pins and ties to do your hair there; which is what I did. Research the weather before hand, it rained on us and me and my friend were freezing in the hanbok. Also, don't bring a shirt with collarbone neck, since the hanbok has a slight v-neck, and make sure is a neutral color like gray, mint or something semi-light, in case you choose a white-top hanbok. The store is about 7 min walk from the museum entrance of the Gyeongbokgung and there is also a library nearby that has a lot of cherry blossoms. Also near bukchon hanok village, so bring your phone with full battery and a power bank. The pouch they give you is medium size, also I saw that there were some free lockers somewhere in the Gyeongbokgung palace if you don't want to store things in the shop. We did and everything was fine when we came back. Remember to collect your deposit after returning your hanbok and be super careful and gentle with the dress. Dirt seems to be fine, but any rip or cut will be charged. Do try this out, you won't regret it. A lot of nice Hanbok choices and variety of accessories ie. Hair band, hair clip, hand bag, ribbon and etc. So that I can mix and match with my Hanbok easily. Staffs will help to wear Hanbok and provide hair do service. Staffs able to speak Chinese and English, so is easy to communicate. A lot of nice Hanbok choices and variety of accessories ie. Hair band, hair clip, hand bag, ribbon and etc. So that I can mix and match with my Hanbok easily. Staffs will help to wear Hanbok and provide hair do service. Staffs able to speak Chinese and English, so is easy to communicate. The hanbok was really beautiful. we came there in the early morning and he staffs helped us to measure our size. after that they helped us to change. we have two chances to choose the hanbok. the choices of my size are many so it's quite difficult to choose since everything is beautiful. renting hanbok here by Klook is easier and cheaper I think. we can save the money and the time to stroll around wearing this very beautiful dress. i love this activity so much. The hanbok was really beautiful. we came there in the early morning and he staffs helped us to measure our size. after that they helped us to change. we have two chances to choose the hanbok. the choices of my size are many so it's quite difficult to choose since everything is beautiful. renting hanbok here by Klook is easier and cheaper I think. we can save the money and the time to stroll around wearing this very beautiful dress. i love this activity so much. It took 45mins to get ready with Hanbok from choosing outfit to doing hairstyle. Overall it’s a new experience wearing Hanbok around the Bukchon village and Gyeongbukgung. The shop is easy to find, just take the door behind the alley! It took 45mins to get ready with Hanbok from choosing outfit to doing hairstyle. Overall it’s a new experience wearing Hanbok around the Bukchon village and Gyeongbukgung. The shop is easy to find, just take the door behind the alley! fast service if u come early! very near to bukchon hanon village. come at 850am, pick ur hanbok, walk to the village when there is still no crowd at all! and then make way to the palace for the changing guard! u will thank me later! then return back hanbok by 1pm. satisfied and love their super fast service. 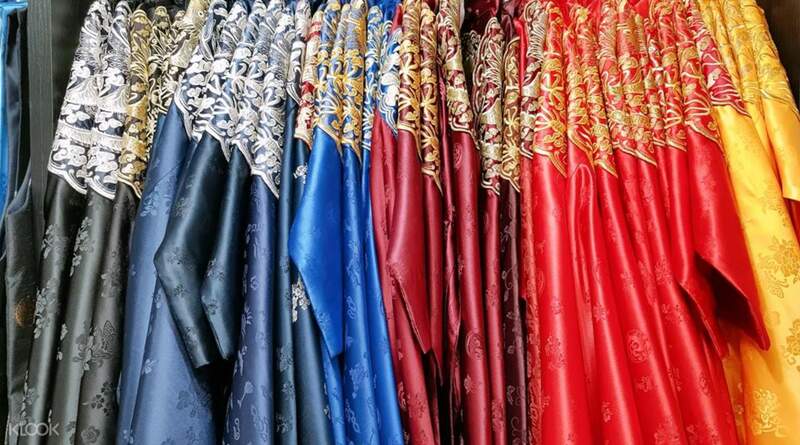 variety of hanbok choices. thanks klook! fast service if u come early! very near to bukchon hanon village. come at 850am, pick ur hanbok, walk to the village when there is still no crowd at all! and then make way to the palace for the changing guard! u will thank me later! then return back hanbok by 1pm. satisfied and love their super fast service. variety of hanbok choices. thanks klook! Once u reach the area, just ask around or there will always be tour information officials standing around the area and they will give u a map and guide u the way. easy to locate the rental shop! thumbs up! Once u reach the area, just ask around or there will always be tour information officials standing around the area and they will give u a map and guide u the way. easy to locate the rental shop! thumbs up! 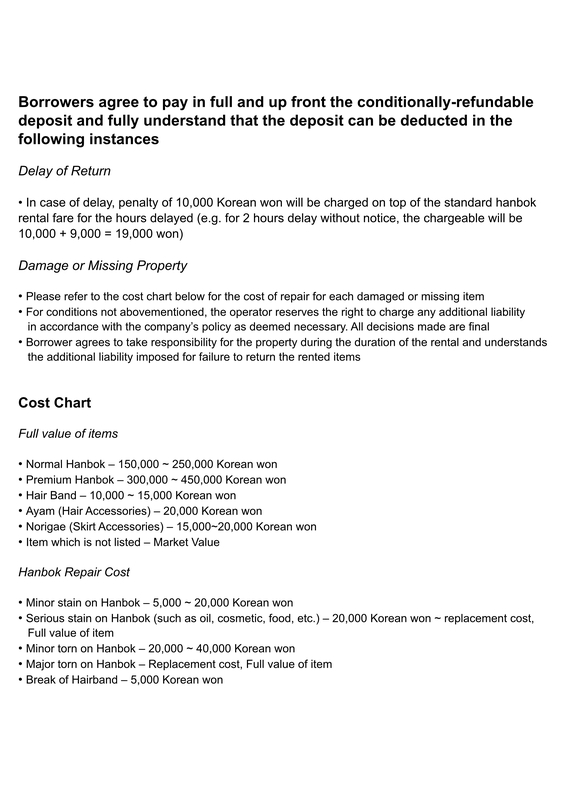 Q: How long will the rental process take for the Hanbok Experience? A: The whole process to rent, try on and be dressed in the hanbok will take around 30-60 min, including 5-10 min of paperwork. Q: Does the collection time count towards the rental time? A: No. Your rental period will begin after you have completed the collection process. Q: I selected the 24 hr rental package. Does that mean if I collect the hanbok at 12:00pm today, I can return it the next day at 12:00pm? A: Yes. The hanbok needs to be returned within 24 hours. Q: Are there hanboks available for infants? A: Generally, hanboks are available for infants 12 months and older. The smallest hanbok size available is 85cm.